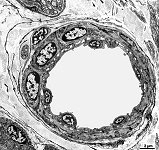 Arteriols (small pulse vessels; Terminologia histologica: Arteriolae) are smaller vessels transporting blood away from the heart. 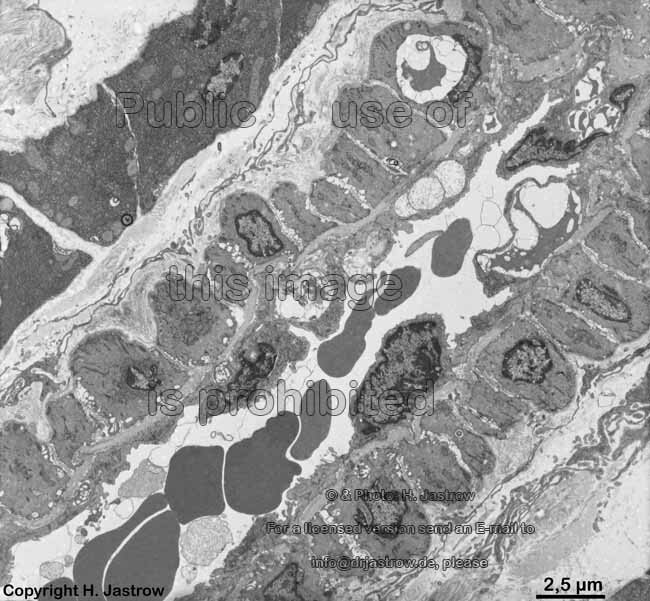 They are not as large as arteries which they connect via metarteriols to capillaries. 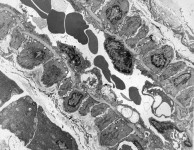 Metarteriols are the smallest arteriols that only show a single layer of smooth muscle cells. While loosing these smooth muscle cells and the internal elastic membrane they finally become capillaries. 1. 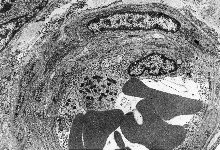 Tunica intima consists of an endothelium and an internal elastic membrane. 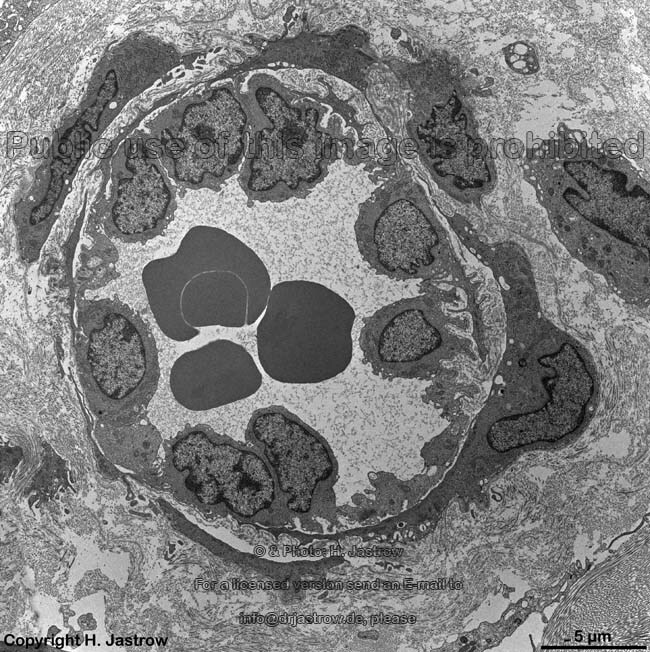 The endothelium has a monolayer of squamous endothelial cells. 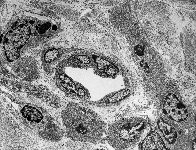 The squamous character of the endothelial cells can only be seen under the high pressure physiologically present in living individuals. Since preparations are usually NOT fixed and embedded under pressure endothelial cells artificially appear cuboid or even columnar in most preparations. In contrast to arteries that have a Stratum subendotheliale the latter is lacking in arteriols. This means the endothelial cells directly contact the internal elastic membrane. 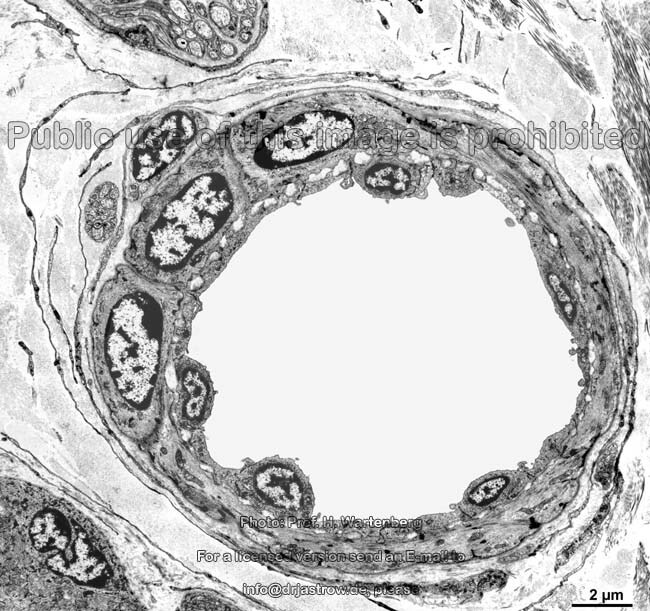 The internal elastic membrane (Membrana elastica interna) is a thick membrane consisting of elastic fibres. It comprises the border to the media. 2. 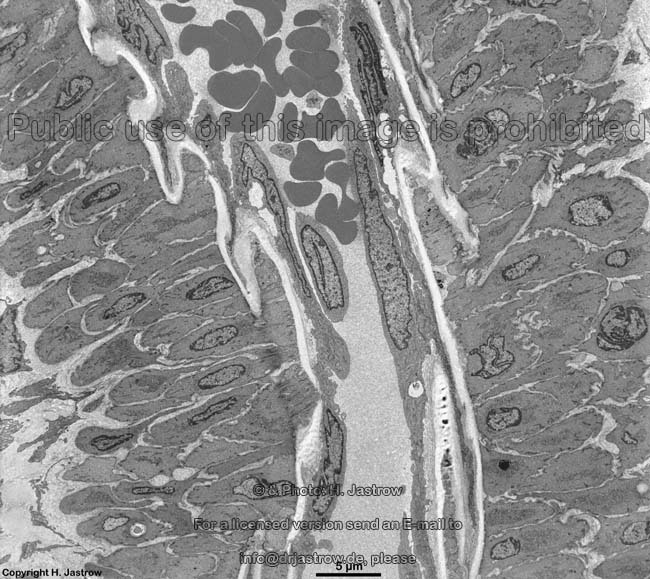 Tunica media The media mainly shows smooth muscle cells and some elastic- and collagen fibres. 3. 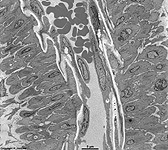 Tunica externa (adventitia) The adventitia is a smooth connective tissue rich in collagen fibres with fibrocytes and free connective tissue cells. It is fixing the arteriole to surrounding tissues and shows some non-myelinated nerve fibres. 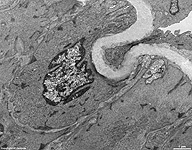 In contrast to arteries, no nutrifying own vessels (Vasa vasorum) and no external elastic membrane is seen in arteriols.